Amazing new video from Josh T. Pearson! 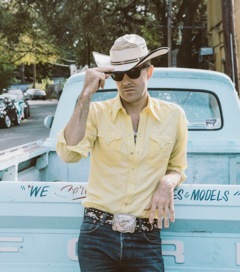 The last time I encountered Josh T. Pearson, he was setting me ears ringing in Edinburgh last August, fronting a reformed Lift To Experience (it was brilliant, and you can read about it here). He has recently announced his second solo album, entitled The Straight Hits, which will be released on April 13 on Mute. Having unveiled ‘Straight To The Top!’ a couple of weeks ago, he now unveils a fantastic video. Pedro Carvalho, a 21-year-old Brazilian graphic designer, who graduated from design school last year, called three friends: João Santos Ponciano, Laura Athayde and Marcos Vinícius, The animation took around four weeks to complete and is utterly worth it! This entry was posted in Lift To Experience by Ed. Bookmark the permalink.